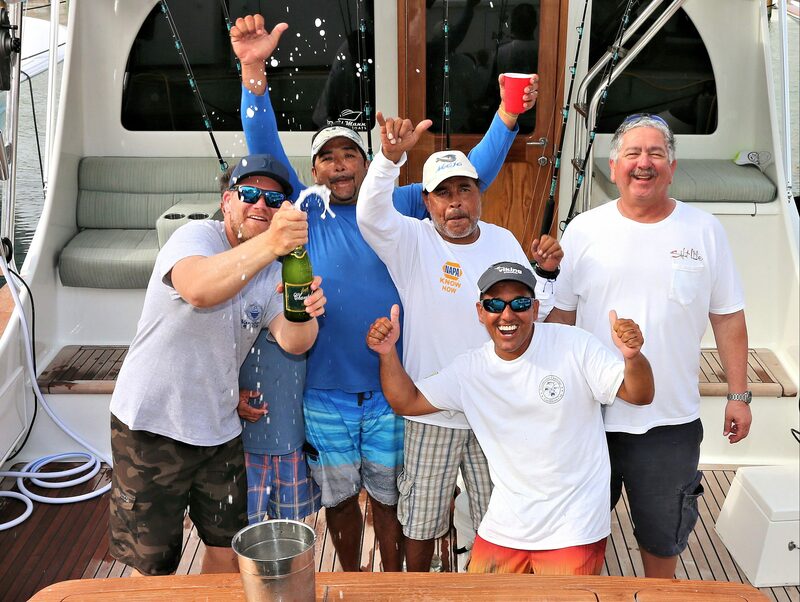 The team from Aruba aboard the 58-foot Paul Mann ALINA took the early lead, releasing six white marlin including a triple-header, plus a blue, and held on till the final day to take Top Boat honors as well as Top Team in the Barceló Rum Division of the 2015 International Cap Cana Billfish Shootout, June 9-15, in the Dominican Republic. “Finally, after about fifteen years competing in the Shootout, we won the whole thing! We have finished second or third a few times before, but this time we made it!” said ALINA Captain/Owner Eric Mansur. ALINA and her team of fishermen topped some of the best teams in the Caribbean for the wins. Congratulations also to Christian Mansur for taking First Place in the division’s individual angler category. Once again, ALINA has proven to be a boat that really raises fish with a team aboard who consistently fish to win.